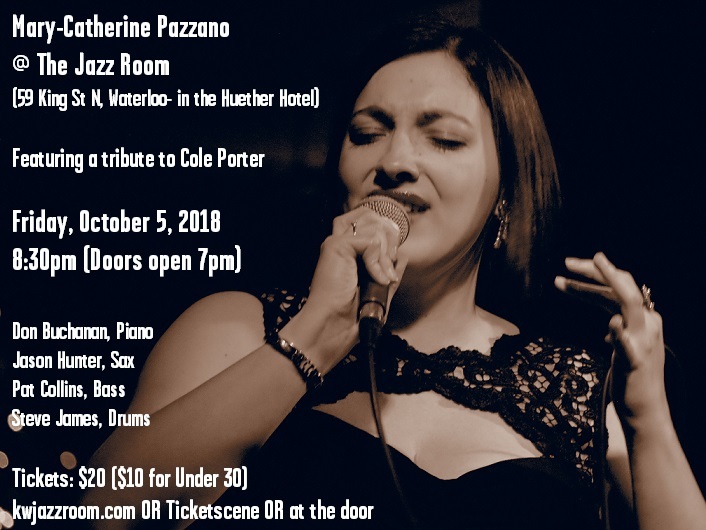 Mary-Catherine Pazzano returns to The Jazz Room, Waterloo on Friday, October 5, 2018 at 8:30pm. The evening will feature a set-long tribute to Cole Porter and will also feature a number of hidden gems of the American Songbook, including songs with lyrics by the great Johnny Mercer! Get your tickets here and visit kwjazzroom.com for more information.